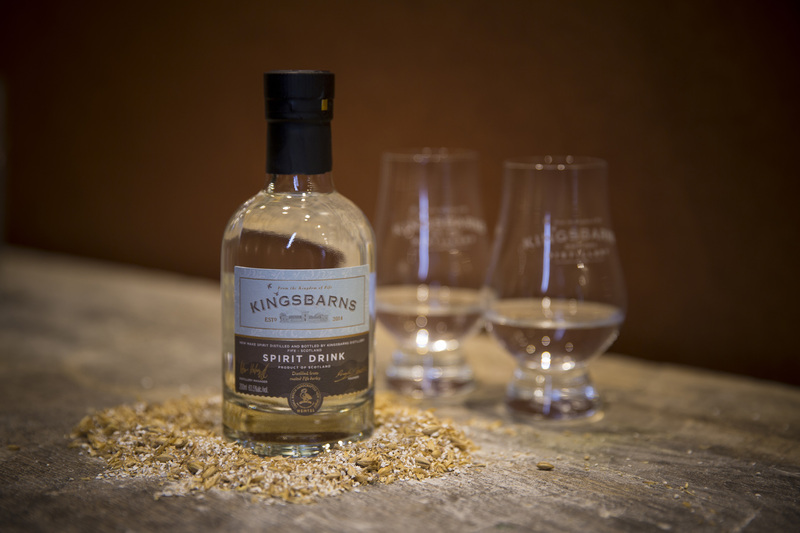 Kingsbarns Distillery is delighted to announce that bottles of its new make spirit are now for sale at the Visitor Centre. The Visitor Centre was opened on St Andrews Day 2014 by the Wemyss family owners and the founder, local man Douglas Clement. Distilling started in January 2015 and the Distillery Manager and his team are so delighted with the quality of the spirit being produced that it was decided to bottle the spirit for all to try. Scotch Whisky has to mature for at least 3 years and a day in oak casks and so the launch of the new make spirit will give visitors and curious whisky drinkers a unique chance to sample the spirit before it is filled into casks to mature. The New Spirit Drink is bottled at 63.5%, the same strength at which the casks are filled and available for sale in 20cl bottles priced at £14.95.